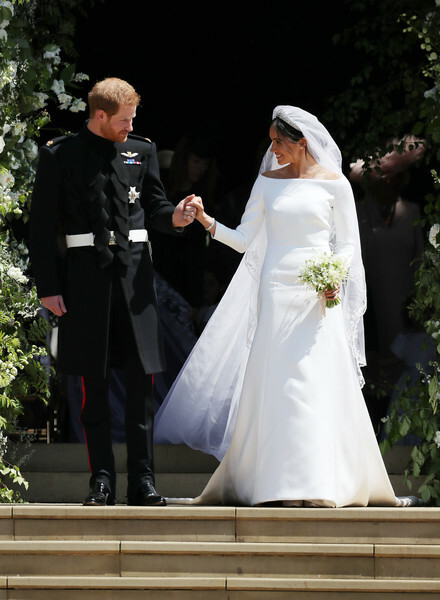 Meghan Markle said "I do" to Prince Harry in a simple, elegant Givenchy gown that featured a bateau neckline for her big day. 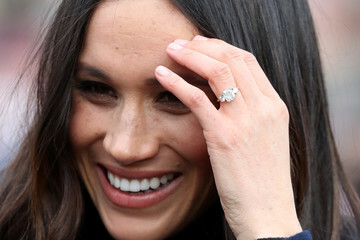 Meghan wore the Queen Mary Diamond Bandeau Tiara, on loan from Queen Elizabeth II. 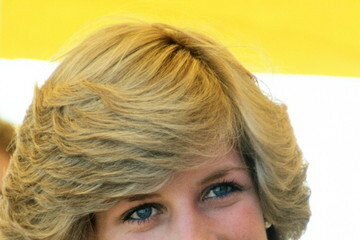 The tiara was made in 1932, and was set with a diamond as the center stone. The veil was five meters long and was made from silk tulle with a trim of hand-embroidered flowers in silk threads and organza.